Nothing says summer like the beach! We're sharing USA's top beach towns! The beauty of the United States is that there are beaches (or lakes) along each of the coasts, making just about any state water-accessible. Think sandy toes, bikinis, and boardwalk shopping! 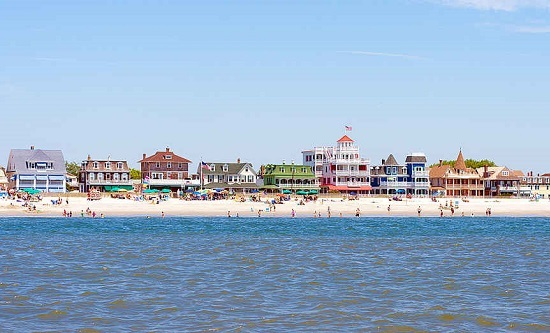 In honor of sunny summertime, the CGS Team has done some research to share USA’s top beach towns in each area of the country. Get your girls together for a road trip if need be, but don’t miss the chance to experience the laidback vibes of some of the best beach cities! 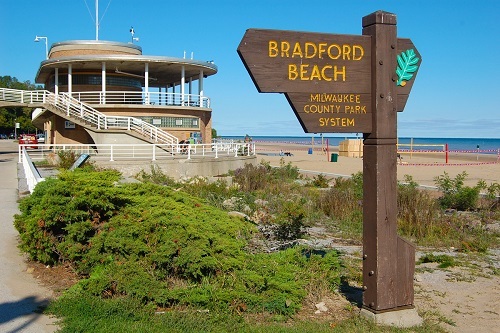 If you are in the northern region and looking for some fun in the sun or beach sports, checkout Milwaukee’s largest beach – Bradford Beach. With beach volleyball tournaments, music festivals, and nearby Inns to stay at, there is no shortage of things to do. Visit Travel Wisconsin to learn more. 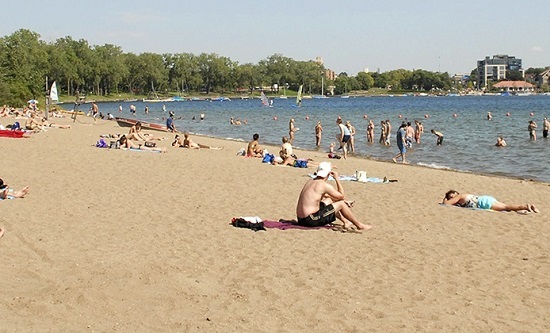 With 12 beaches identified in the Minneapolis parks system, Lake Calhoun North Beach is one of the most popular. With beautiful greenery and nearby walking trails, even the nature lovers can take advantage of the beach benefits! Learn more at Lake Calhoun North Beach's website. Clear skies, blue water and fresh sand! 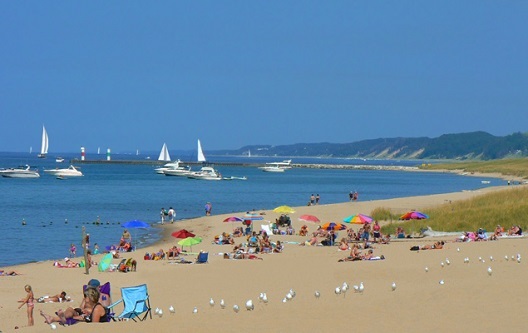 Named by MTV as one of the 5 top beaches in the US, Oval Beach is a must-visit for northerners! Check out the sand dunes and ride one of the last hand-operated chain ferries! Click here to learn more. Lubec is a beautiful coastal city any time of the year. If you are nearby (or don’t mind a drive) and looking for a calming, quiet getaway, then Lubec should be your go-to destination. Check out the Victorian style downtown area while you are there! Visit Lubec Maine for more. Nothing says beach town like Cape May, NJ! With the perfect access to the Atlantic Ocean, and a gorgeous boardwalk, Cape May is an ideal beach vacation. Watch shows, visit shops, and take in the beautiful scenery offered to visitors! Learn more by clicking here. 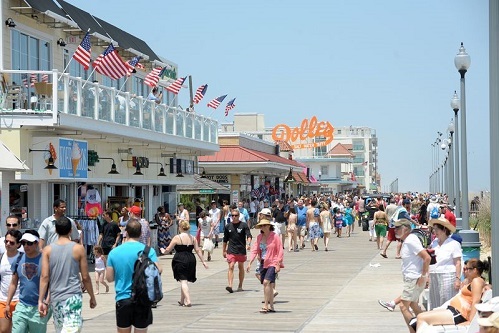 If your idea of a beach getaway is one that involves large crowds and tourist attractions, then visit the town of Rehoboth Beach, DE! 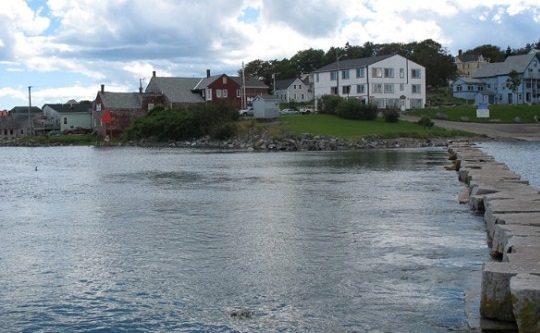 The town only has about 2000 residents, but herds of tourists come every summer. Get saltwater taffy on the boardwalk and enjoy this great town! Click here for more. 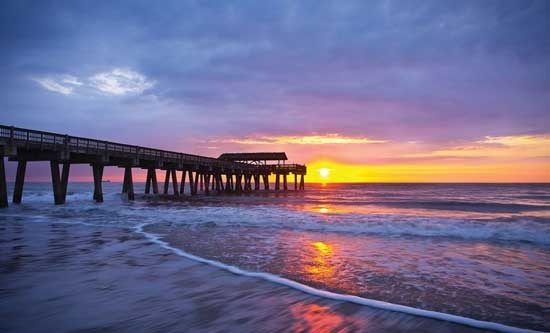 One of the most popular beaches among the Carolinas, Myrtle Beach is an ideal getaway for those looking for a good time! Enjoy the bar scene, ride the Ferris wheel, and get your shopping on! 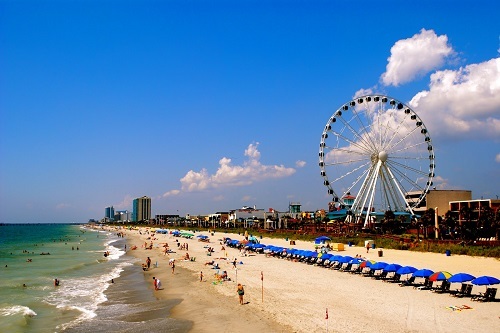 Myrtle Beach is a USA must-see regardless of where you live! Check out Visit Myrtle Beach to learn more. Not too far away from beautiful Savannah, Tybee Island in Georgia has become a popular vacation destination for those close by. With no shortage of history and beauty, Tybee Island provides unique cuisine, live music and nightlife, and a beautiful view of Georgia’s coast line. Learn more at Tybee Island. Once a little-known destination spot, Orange Beach and Gulf Shores have picked up in popularity the last 5 years. 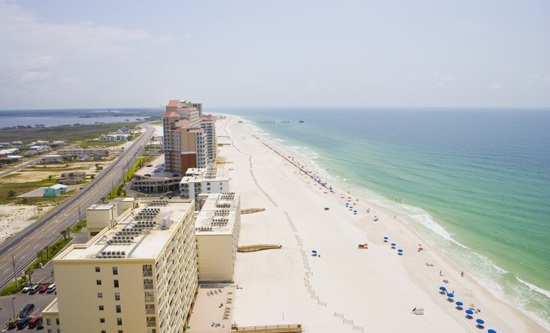 With 32 miles of white sand, clear water, and fun attractions (think zip lining and water sports), we suggest you get to Gulf Shores before the crowds do! Check out Gulf Shores for more information. If you live in Texas and haven’t visited coastal Corpus Christi, we suggest you get in the car and go! The little city packs beautiful views, a booming downtown area, and easy access to the crystal clear waters of the Gulf. 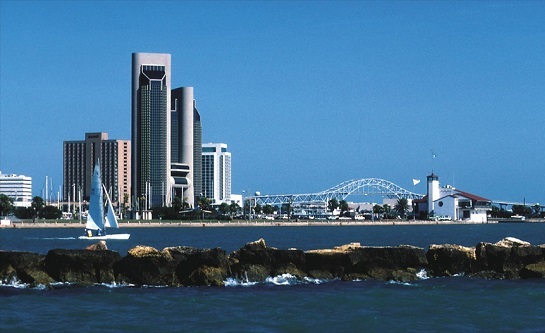 With no shortage of things to do, let Corpus be your next vacation spot! Click here for more. Of all the beaches in Florida, you may be wondering “why Alys?” Well Alys Beach is slowly but surely becoming a luxury beach destination. 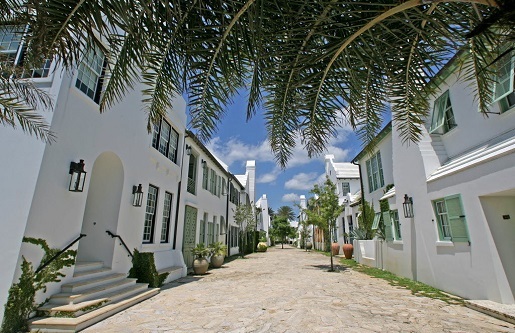 With a theme of all-white buildings, palm trees and sandy roads, Alys Beach is the perfect place for the big spenders. Save up some cash and give it a try! Learn more at Alys Beach. 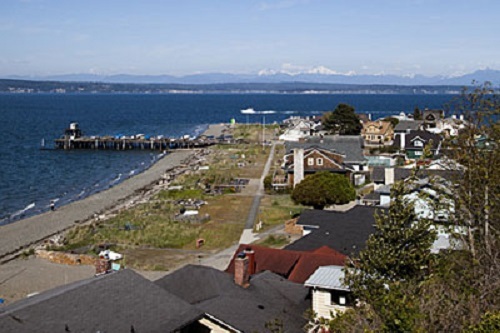 Get away from the fast-paced life of California and visit the quiet Whidbey Island in the town of Langley. Mountain and forest views, local cuisine, and actual shopping experiences, don’t underestimate Whidbey Island. Learn more at Visit Langley. 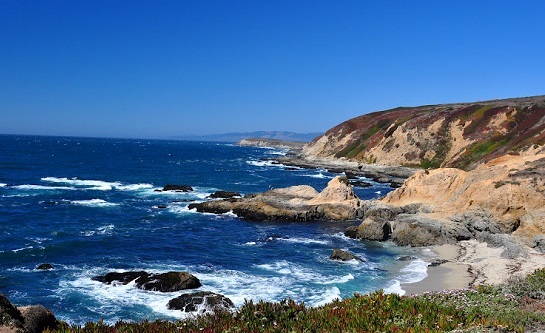 One of the most beautiful views of the San Francisco are can be found at Bodega Bay. Wine tasting, seaside cliffs, and blue water are just some of the great features of the beautiful city. Take a trip up the California coast to visit this budding beach town. Click here to learn more. 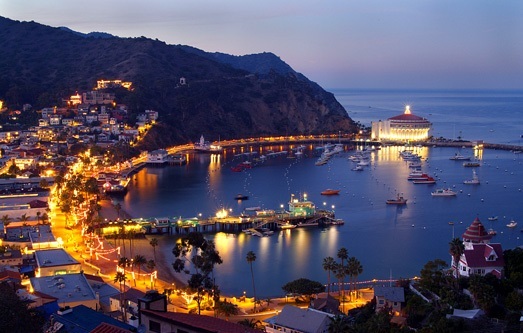 About an hour and a half away from Los Angeles, Catalina Island has been a travel destination for decades. Beautiful sunsets, boating attractions, and an elegant lifestyle, visitors rave about the coastal town. Get out of your LA comfort zone and take a trip to Catalina Island ASAP! Click here for more. A beach vacation doesn’t have to be international! There are so many great beach towns in the United States that everyone gets a chance to go! Are there any beach towns that you love? What is your favorite beach vacation spot? Share your thoughts with us by leaving a comment below! Cape May, NJ and Tybee Island, GA look amazing! I’ve been to Corpus Christi a few times – crystal clear water!